I would like to see SimScale introduce Surface LIC Plots to the post-processing software. I feel that these plots make some of the most impressive pictures overall and really give the user a better understanding of the flow field. Below is an example of what I am requesting. 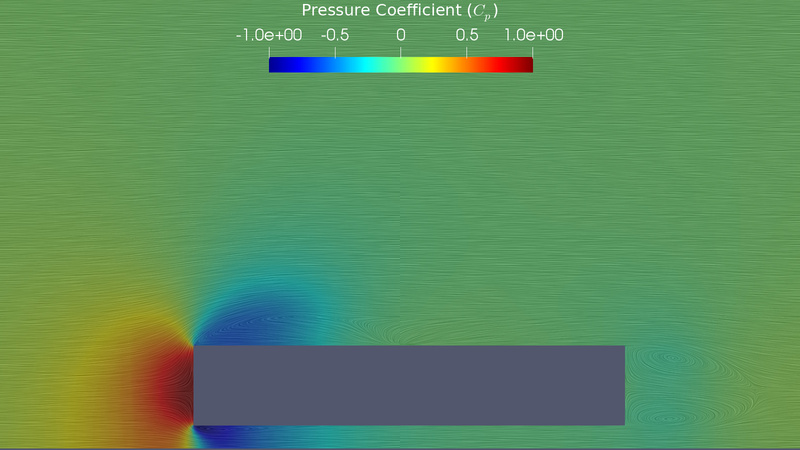 This image not only shows the pressure but also the relative flow throughout the slice. A similar plot can be made with vectors, but that requires a few more steps and resizing to get what you want. I also don’t think it looks as nice overall.